Recent events have shown how flexible an asset a cruise ship is compared to say a resort hotel or a factory. When Alaska imposes a $50 head tax, they can move away to the Caribbean or Europe; when European revenues are higher they can move in that direction and when security concerns engage Americans they can stay closer to home; when swine flu breaks out in Mexico they can go to Canada; and when pirates threaten the Suez route they can go round the Cape of Good Hope. Of course, the big subject right now is the threat of the swine flu outbreak in Mexico and this has directly affected cruise lines that normally serve the Mexican Riviera down to Acapulco, as well as Cozumel, Cancun and Progreso on the Gulf of Mexico. 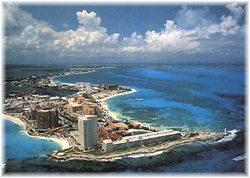 Cruise lines are even now continuing to announce itinerary changes in order to avoid calls in Mexico. To start with, Royal Caribbean have announced a new itinerary for their Mariner of the Seas, the largest cruise ship operating on the West Coast, carrying 3,114 passengers in lower berths (with 3,840 berths in all). Instead of a 7-day itinerary heading south to Mexico, she will now go north. Her revised itinerary from Los Angeles will include calls at San Francisco, Victoria and Seattle. The Victoria call is required as she has to make at least one call in a foreign country but it is interesting that the provincial capital was chosen over Vancouver, which one might think has the more obvious attractions. Astoria, Oregon, will also benefit from a call on the May 10 sailing. Carnival Cruise Lines, with the second largest West Coast ship, the 3,006 lower berth Carnival Splendor (3,700 berths in all), which also usually trades south to Mexico, will now leave her Long Beach base and go north to the same three ports. Vancouver will also benefit from a call on her May 10 departure. Carnival Paradise, which usually does the 3- and 4-day short cruises from Long Beach to Ensenada, and Carnival Elation from San Diego, will instead substitute Catalina Island or an extra day at sea, depending on the itinerary. In the circumstances Carnival must have been given some sort of waiver from the usual requirement under US coasting regulations to make a foreign call, as the fine for doing this is usually $300 per head. Starting this week, both the Mariner of the Seas, with 13 calls, and the Carnival Splendor, with eight, will drop in on Victoria BC at about noon each Wednesday and stay until night time, bringing a windfall of up to 7,000 extra tourists to this Canadian port on Vancouver Island every week. The same will be true at San Francisco and Seattle, which each stand to gain about 25 additional cruise ship calls this season. In the Caribbean, meanwhile, a myriad of changes have been announced for the usual Western Caribbean cruises that include calls in Mexico. The ports of Key West, Nassau, Freeport, Coco Cay, Grand Cayman, Montego Bay, Belize, Roatan, St Thomas and St Maarten will all benefit. Some Central American ports have also gained new calls on Trans-Panama cruises. The new itineraries have been announced into May and June and a return to Mexico will depend on an end to the present health scare in that country. It helps that in many cases this comes at the end of the Mexico season and the beginning of the Alaska one. One line, Norwegian Cruise Line, has not been affected at all, other than two Mexican calls dropped from the last cruise of the Norwegian Pearl in favour of San Diego. Carnival, on the other hand, with a heavy concentration on Mexico, has been worst affected, having had to adjust itineraries for sixteen different ships. The biggest loser of all, however, is Mexico, which has seen all its cruise ship visits cancelled since US Centers for Disease Control and Prevention (CDC) officials last week recommended that Americans avoid non-essential travel to Mexico . As we reported last month, cruise ships will be leaving the Alaska trade in increasing numbers in 2010 and possibly 2011 in search of better returns elsewhere. This is a prime example of the advantage that cruise lines have of being able to move their assets to areas that will give them a better return, and it's one that the state should have remembered. The $50 Alaska head tax turns out in the present recession not to be a tax that hits the consumer but a deduction that comes directly from the cruise line's bottom line. A ship with 3,000 passengers produces $15,000 less profit a week and if she makes 18 cruises that's $270,000 off the bottom line. Four such ships make $1,080,000 less profit. No wonder cruise lines are cutting back on Alaska. As a result, all of Carnival, Holland America, Norwegian Cruise Line, Princess Cruises and Royal Caribbean have announced reductions in their Alaska programs for 2010. The Norwegian Sun, to take just one example, will be cruising in the more profitable European market in 2010 and this will be her last season running to Alaska. This is a solid case of how the cruise lines can move their assets and not so much "vote with their feet" as "vote with their fleets," as has been very plainly indicated recently by both Carnival's Micky Arison and Royal Caribbean's Richard Fain. Some lines, and particularly Royal Caribbean, have been moving large numbers of ships to Europe as the returns there are now more than they can make in either Alaska or the Caribbean. The most recent sign of this is Royal Caribbean's decision to base its 3,634 lower berth (4,376 berths total) Independence of the Seas in Southampton year-round starting in 2010. Sister brand Celebrity have both the Celebrity Solstice and Celebrity Equinox in Europe this summer and will have three Solstice class ships in Europe when the Celebrity Eclipse cruises from Southampton on 2010. And as noted above, the Norwegian Sun will follow the Norwegian Gem, Jade and Jewel to Europe in 2010. Some ships will also move, as for example the Norwegian Jade from Southampton to a new base in Venice, again to where NCL think they can make more money. The situation is emphasized even with newbuildings. For example, 72% of the capacity on order for Carnival Corp & PLC - or 27,296 berths - is earmarked for that group's European brands, whose capacity will increase by 8% in 2009, or double the 4% increase forecast for its North American brands. The most famous example of "homeland cruising" was of course NCL's use of that term in an attempt to build up more business from more North American ports after the events of September 11, 2001. Other lines have followed suit and even beaten NCL, probably none more so than Carnival Cruise Lines, whose 22 "Fun Ships" now operate from 17 North American ports, 11 of which are now year-round, more ports than any other line. 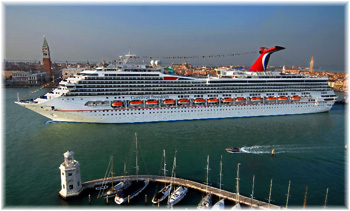 One thinks not only of their investment in the cruise terminal at Long Beach but also of the fact that their largest and newest ship, the 3,100 lower berth Carnival Dream, will be based not out of Miami but out of Port Canaveral. Previously unknown ports like Mobile, Galveston and New Orleans have also benefitted. This is not the first time that such events have occurred however, as after the Achille Lauro hijacking and both Gulf Wars there was a tendency to keep some ships normally based in Europe ino North America, and is some cases European ships even came to North America for a time. In those cases it was the summer Canada-New England market that got the extra capacity, although some also went to Alaska when that destination was booming. Finally, in the past week, both Fred Olsen and MSC Cruises have announced itinerary changes that will affect future cruises as a result of increased pirate activity, not only in the Gulf of Aden but now also in the Indian Ocean. Following last week's unsuccessful attack on the MSC Melody, that line will in future route its positioning voyages between Italy and South Africa via West Africa instead of through the Suez Canal. As the Melody was northbound at the time the next voyages to be affected will be southbound departures in November. Fred Olsen Cruise Lines, has meanwhile stated that its 106-night 2010 World Cruise in the Balmoral, which had calls scheduled for Dubai, Egypt and Oman, will now return to the UK via the Cape of Good Hope and West Africa instead. 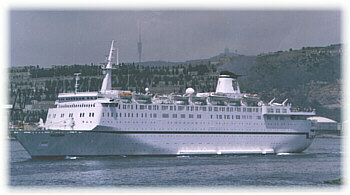 Like the Melody, the Balmoral was also recently threatened by pirates, in her case in the Gulf of Aden this March. What will complicate matters even more for the cruise lines now is an announcement last week by the president of the Phillippines that Filipino mariners would no longer be allowed to sail on any ship that went anywhere near the Gulf of Aden or the coasts of Yemen or Somalia. This is all to say that an investment in cruise lines is probably not a bad one as these companies have a lot of flexibility when it comes to deploying their assets. This comes not only from direct fleet deployment, but also from things such as offering more shorter cruises, which are more affordable, in times of economic hardship such as now, or even extending cruise durations from 7 days to 14 days as Princess have done in one case to Alaska in order to cut the impact of the Alaska head tax in half. The biggest advantage, however, is in being able to deploy those assets to where they will make the most money. PS: Just to prove how flexible these assets are, within minutes of this column being prepared, Celebrity announced that from 2010�the Celebrity Solstice will remain in the Caribbean year-round. Her 2010 Mediterranean itineraries will now be taken over by the Celebrity Equinox, whose own cruises will be cancelled. This is a result of the success the ship has had in the Caribbean. Celebrity is contacting all guests whose future bookings will be affected.